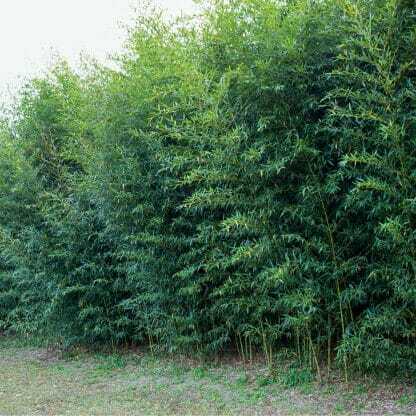 This beautiful evergreen bamboo is used extensively for screening. 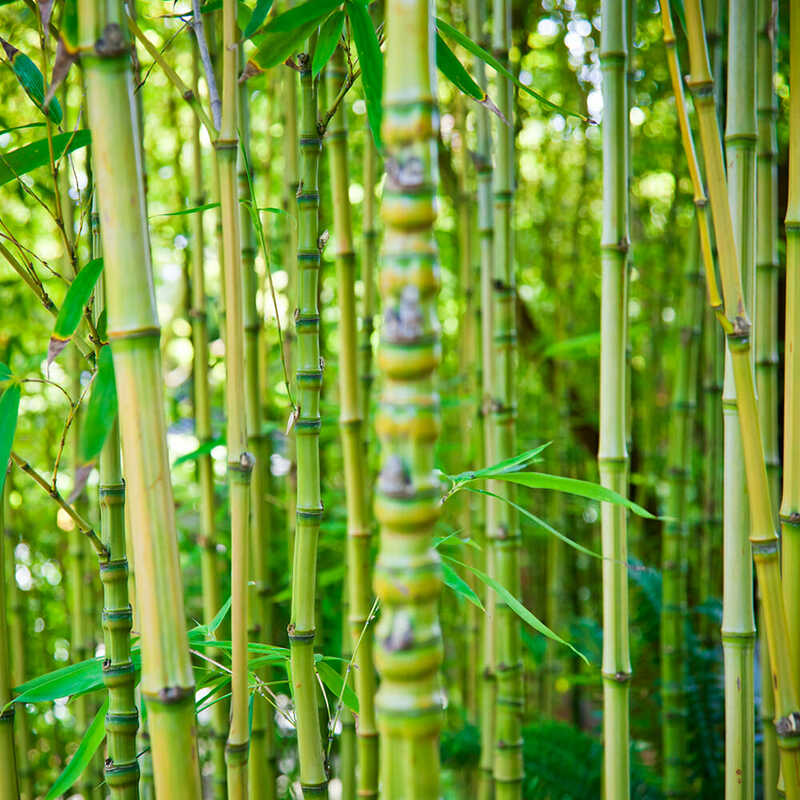 At maturity, the culms grow close together and with it’s thick foliage, ‘Golden Bamboo’ provides an excellent visual and sound barrier for Zone 6 and higher. Order within 20 hours 54 mins and your order will ship Tomorrow! Phyllostachys Aurea ‘Golden Bamboo’ is a prime choice for privacy screening or a bamboo fence. A fast grower in warm climate zones, but less aggressive in colder climates. Provides a thick impenetrable grove when untrimmed. The culm nodes are compacted giving this species a great look on larger culms. On small plants and often on mature size culm this species has low growing limbs. This species is very drought hardy. Light green canes turning golden when exposed to sun light. 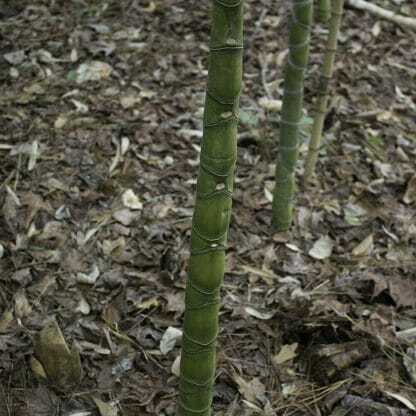 The culms ( canes) are very strong and upright. The culms sheaths are pale/green to pale/red. The auricles and oral setae are absent from the sheaths. 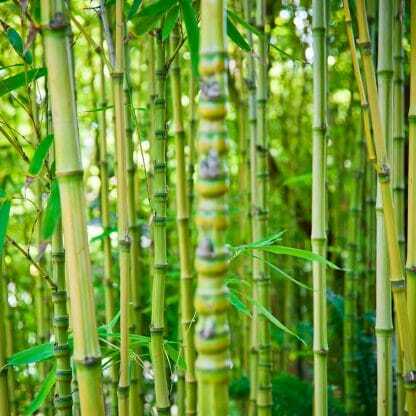 ‘Golden Bamboo’ was the first Phyllostachys introduced into the United States (Alabama in 1882). In colder regions, this species forms tight groves versus the more open groves in warmer climate zones. 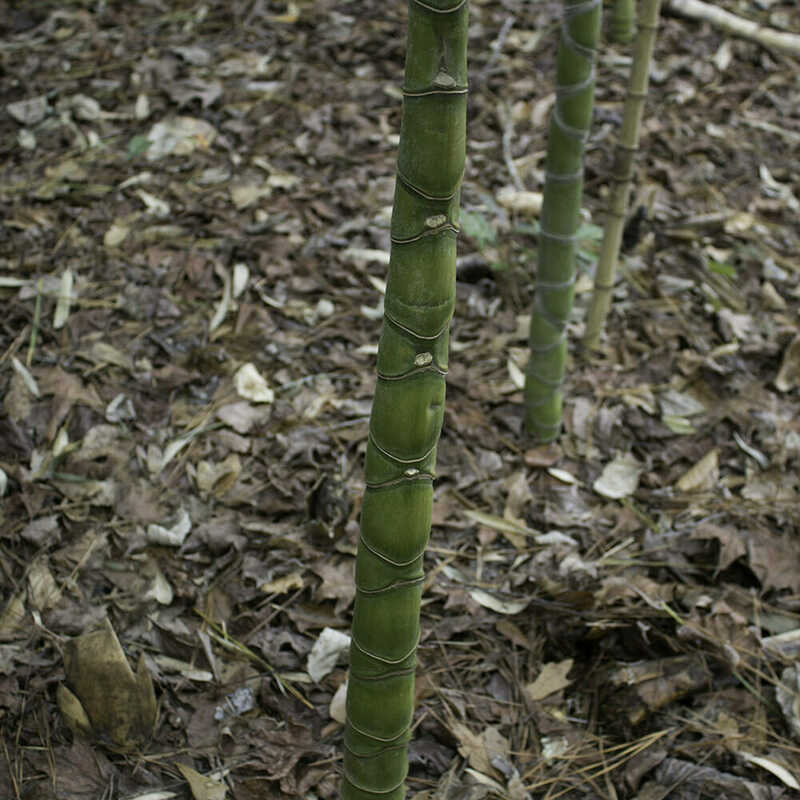 Culms are excellent wood quality and the new shoots are edible. Climate Zone 7 expect mature size canes to be over 30 feet in height. Climate Zone 6 expect mature size canes to be 16 feet in height. 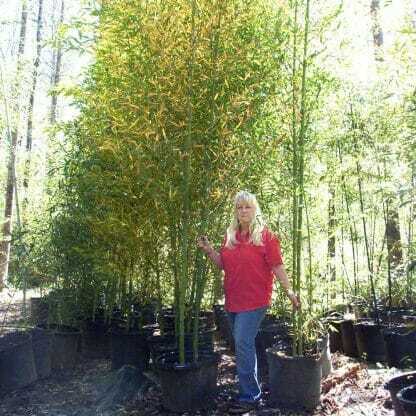 ‘Golden Bamboo’ is growing well in New York’s climate zone 6 but in some micro climates of zone 6, this species does not remain evergreen. This beautiful bamboo will drop foliage when temps drop to around 5 degrees F. Canes will most likely be killed when temps drop to -5. Unless temps drop to -30 degrees F. the root system of established well mulched groves will put up new canes each Spring. I planted it in an area of my yard between my neighbors driveway and my own house for two reasons. 1.) My neighbor likes to tell us that we need to remove certain trees in this area of my yard. She even went so far as to hire someone and have a tree cut down without our permission. We just happened to go outside as the tree person began cutting down the tree then she admitted what she had done. 2.) The same neighbor has a motion sensor light that is pointed directly at my bedroom window and has the brightest light bulbs in the world. Also, apparently, the motion sensor is broken and it just stays on all night. I actually had to put cardboard into my bedroom window because it lights up the room so much at night. So, this Golden Bamboo is perfect because it will screen the area heavily. The best part is that my neighbor thinks these bamboo plants are butterfly bushes. LOL! The plants I received were in beautiful shape, packaged perfectly, and extremely healthy. 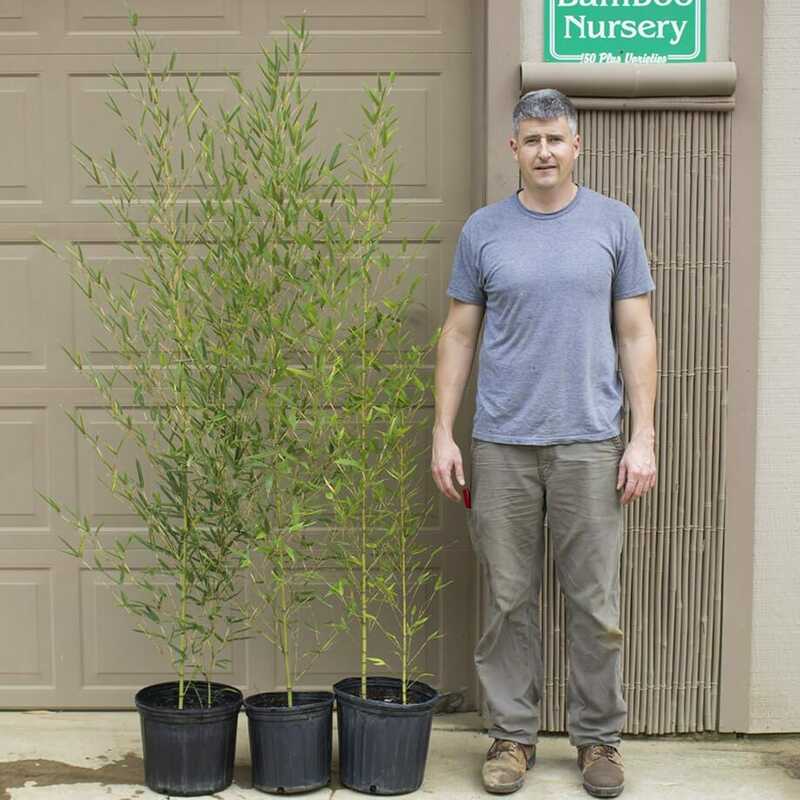 I purchased a different type of bamboo from a bamboo grower who is in Raleigh, NC about 2 hours from my house. 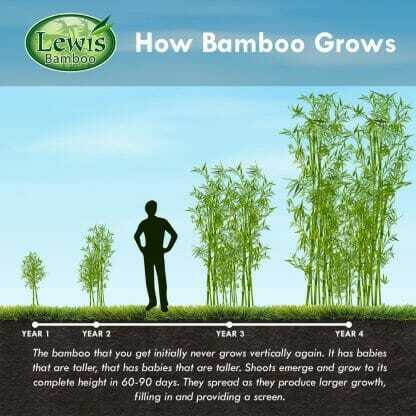 The Lewis Bamboo is much healthier and my plants are doing much better than the ones I purchased semi-locally. I will continue to purchase from here. The bamboo arrived quickly and well packed. They are doing great. 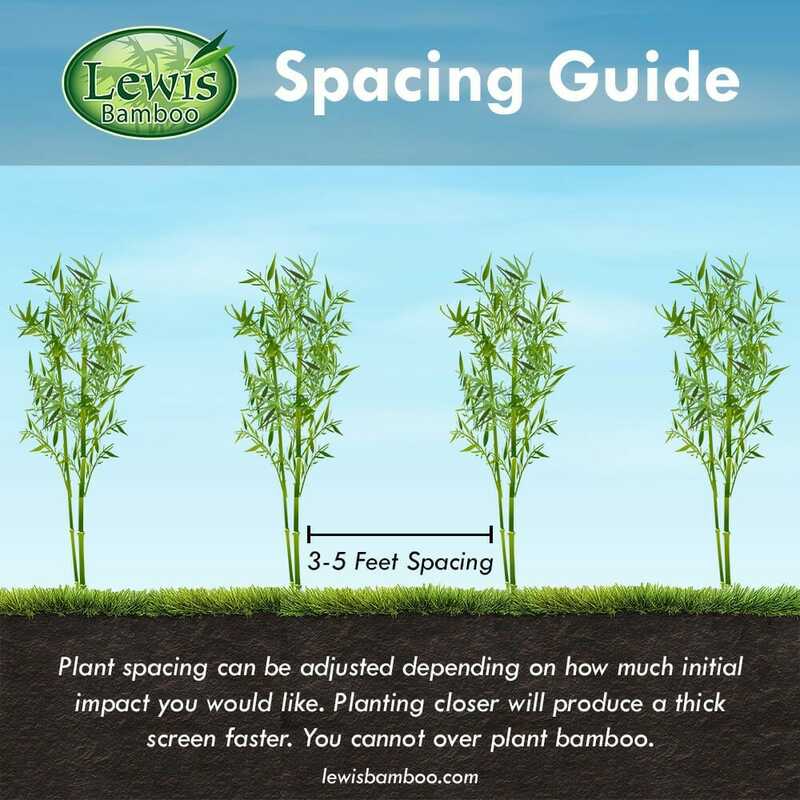 I would order from Lewis Bamboo again! Lewis Bamboo has made a great name for itself. And there's good reason. They're knowledgable, timely and provide beautiful plants. I have ordered timber, golden, and black varieties. All perfectly healthy and hearty on arrival. Responded well to planting per instructions. I also ordered the fertilizer product and was pleased with the response. The only things that's confusing for others is when I recommend Lewis Bamboo, because my name is Lewis and friends think I've moved into the bamboo peddling business. The plants arrived in good shape. I was especially impressed by the wrapping of the roots; they were moist, and to say that in Phoenix is something! Very good experience with this company, and the products are healthy. Just wanted to say how much I appreciate your company. When my bamboo arrived I met the UPS lady and helped her haul the boxes into my home. It was yet another miserable 107-degree day and I was astonished to feel heat pulsing out of the handholds of the boxes. I immediately unpacked and moved them to a shady spot outside and misted them thoroughly several times that day and the following, until the cool of night when I actually put them in the ground. After they were installed I gave them another thorough soaking. The leaves were a bit curled and some of the canes had snapped in transit, so the leaves on those parts were dying, but overall I had hope because when I unwrapped the roots I was amazed that despite the brutal heat, the dirt was not yet quite dried out. I'll admit, I was worried about buying any plants mail-order this time of year, but this made a believer out of me. One week later they all seem to be doing fine. The leaves are dark green and flat and they are still getting plenty of water to help them settle in. I am sure the only reason they did not die in transit was your clever packing methods, and I'd like to thank you for sending them so quickly and with such great care. My yard is overlooked by the second story of a neighbor on another side, and after this pleasant experience I intend to add bamboo to that area next summer. You have gained another satisfied and loyal customer! Thank you very much. 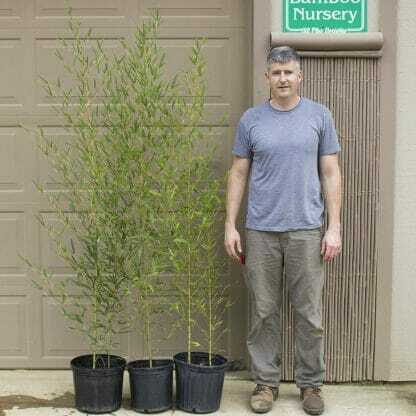 We received our shipment of Golden Bamboo and it has been planted. It all arrived looking very healthy and in good shape. We have passed on your name and number to our friends who will be calling you for their bamboo. It will grow fine just tends to be less aggressive. Answered by the admin	I would look at the Decora or Henon in your climate with total sun exposure. Answered by the admin	1-3 canes depending upon time of the year. Answered by the admin	Nothing... Bamboo is a super low maintenance plant. In addition, bamboo is an evergreen and as long you get the bamboo appropriate for your climate, you should be able to enjoy it year around.